The Washington State University Extension has a one-day soil health workshop coming on Tuesday, Jan. 22. “Management Matters for Soil Health” is slated for 8:15 a.m. to 3:45 p.m. Jan. 22 at Banyans On The Ridge in Pullman. Cost is $75 per person. Lunch and light refreshments are included. “Earthworms and Soil Health with an Overview of the LIT Project” with Jodi Johnson-Maynard, Department Head and Professor of Soil and Water Systems, University of Idaho. “Soil Health and Productivity at Cook Agronomy Farm” with Dave Huggins, USDA-ARS Lead Scientist, Northwestern Sustainable Agroecosystem Research Group. “Biosolids: Land Application and Soil Health” with Andy Bary, Senior Scientific Assistant, Washington State University Puyallup Research and Extension Center. “Effects of Compost Application on Two Dryland Wheat-Based Systems” with Carol McFarland, Research Associate in Cropping Systems, Sustainable Agriculture and Outreach in the Department of Crop and Soil Science, Washington State University. “Management Impacts on Nutrient Cycling Potential in Long-term Systems” with Ann Klein, Soil & Water Conservation Research Associate USDA-ARS, Pendleton, Oregon. 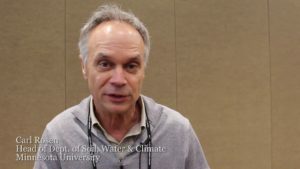 “The structure and composition of soil organic matter and implications for management” with Doug Collins, Soil Scientist and Extension Specialist, Puyallup Research and Extension Center. “Nutrient Management: a Key Component to Soil Health” with Aaron Esser, Extension Director for Adams County and Manager of WSU Wilke Farm. “Panel: Innovative Management for Soil Health” with three eastern Washington farmers, who will share experiences with livestock, cover crops and other alternative management practices.